As a general whinger about awful Facebook trends, clickbait has been a bug-bear of mine for awhile. Particularly those in the vein of the pioneer of the practice Upworthy. Finally it seems like the media is catching on, with major web publishers like Mamamia claiming to swear off the habit (despite having a spoof spoiler Twitter account that continues to flourish). Facebook itself has begun to punish clickbait headlines. But I admit, sometimes the damn things do catch me out. I’ve just gotta know what the puppy did to make grandpa cry!!! And after being inspired by this Daily Life post making clickbait headlines out of things said to female writers, I decided to write some of my own quilty clickbait headlines. You won’t believe what she did to make her sewing machine run perfectly! Sewing Machine Mechanics hate this one small trick! This one easy trick will make your half-square triangles’ points match every time! Woman makes post asking for obscure hard-to-find fabric. You won’t believe what happens next! You’ll be amazed what happens when you take this traditional quilt block and make it BIGGER! This simple trick for cutting fabric will change everything! 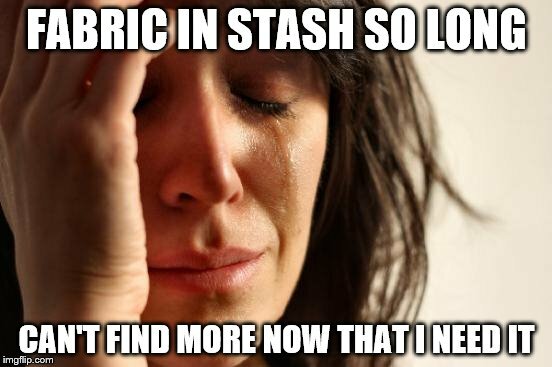 Fabric companies hate her! One simple trick for using your scraps. 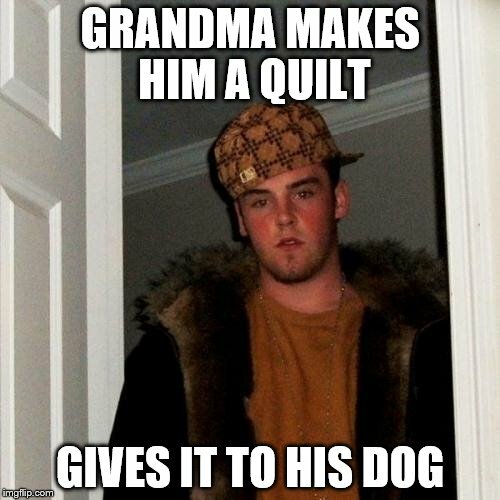 We asked 25 people what they thought about quilts. What we found was shocking! 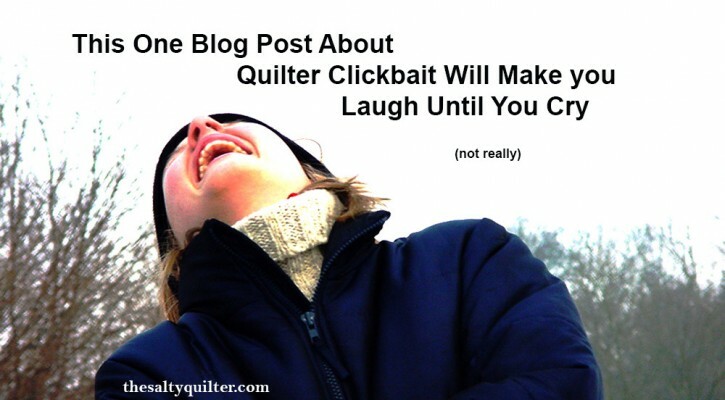 Have you come across any quilty clickbait in the wild? Have an idea for your own headline? I’d love to know! This entry was posted in Salty Rants and tagged in Clickbait. Oh my gosh!!!! So hilarious!! I know what you mean by just having to know. I am usually wildly curious and repulsed by the alligator stories. Why didn’t I think of this for a post? Jaye! This is so helpful. Thank you.